As I mentioned in my weekend recap post, this weekend was the Rite Aid Cleveland Marathon race weekend! 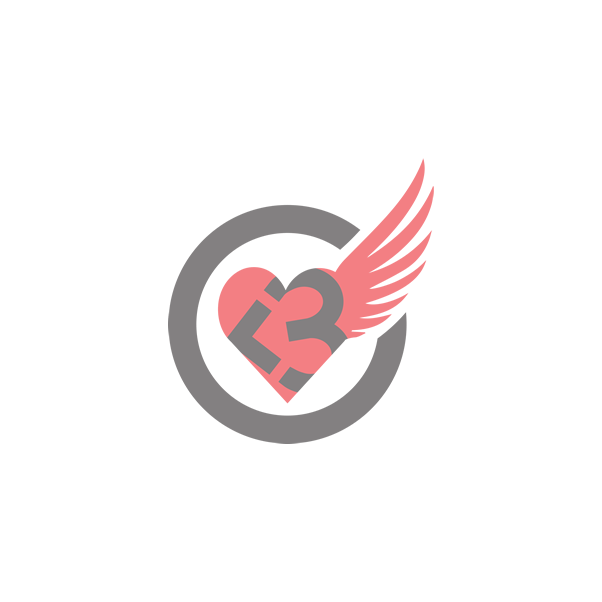 For the past few years, I have been taking part in the Challenge Series, which involves running an event on Saturday (either a 5k or 8k) and then an event on Sunday (either a 10k or full/half marathon). This year, being 39 weeks pregnant, I opted to participate in (notice I didn’t say run) the 5k/10k events. And since I was selected as a race ambassador, how could I say no? This is the first year that B and I haven’t lived downtown since I’ve been running the marathon events, so our morning tradition was a little different from usual. Typically, we’d roll out of bed, spend a few minutes getting ready and then walk to the starting line. This year, we had to figure out parking, traffic, etc. Luckily, the road closures for the 5k are minimal and don’t affect our commute, so we still made it downtown pretty easily. Since I did the 8k last year, the 5k course was pretty nice – I loved being able to turn off early! We started in Public Square, ran around Brown’s Stadium, up E 9th to E 12th and pretty much then retraced our steps back to Public Square. There are 2 serious (well for me) hills on the course, but the first mile was all downhill so I knew I could run it without stopping. This is a big deal, since there are only a few occasions recently that I’ve run a full mile without taking some breaks. Was it my slowest 5k ever? Actually – it was slightly faster than last weekend’s Sabre Run 5k! Also – B WORE FW! He had FW in a backpack and ran along side of me “just in case” (see comment above about being 39 weeks pregnant). How amazing is that? I’m so grateful for his support throughout my pregnancy and crazy running. Especially this time around when running has gotten more painful and I’m sure my attitude hasn’t been as great as it was when I was pregnant with FW. I couldn’t have done it without them! Sunday morning, B, FW and I headed downtown even earlier for the 10K. Luckily, I was able to park in my parking garage and get to the are start around 6:30. Unluckily, despite it looking clear on the radar, it was raining/misting the whole walk to the start line, and it didn’t stop. Let’s just say I was nearly soaked before we had even started the race. The 10K was a lot harder for me than the 5k. I was sore from the race the day earlier – my pelvis area, below my belly and feet were not having it. So, there was a LOT more walking than the day before. Despite the walking and rain, we still finished in about 1:30, which I was pretty happy with for how I was feeling. 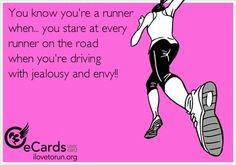 And, being so slow, I noticed much more than I typically notice when I run! For example, I enjoyed the course entertainment. Even in running only 6.2 miles, we got to enjoy several bands. I also noticed (and appreciated) all the mile markers. And the aid stations. You know, just in case! Oh, and I always LOVE the Challenge Series swag. Especially the 3 medals! And once again, a BIG thank you to B and FW for keeping me company. This was the longest run/walk/anything I had done in some time, and them being by my side made it so much easier. AND that’s a wrap! Another Cleveland Marathon weekend in the books. 9.3 miles covered and that was PLENTY for my pregnant self this year. Do you do challenge races – or races where you run 2 days in a row? 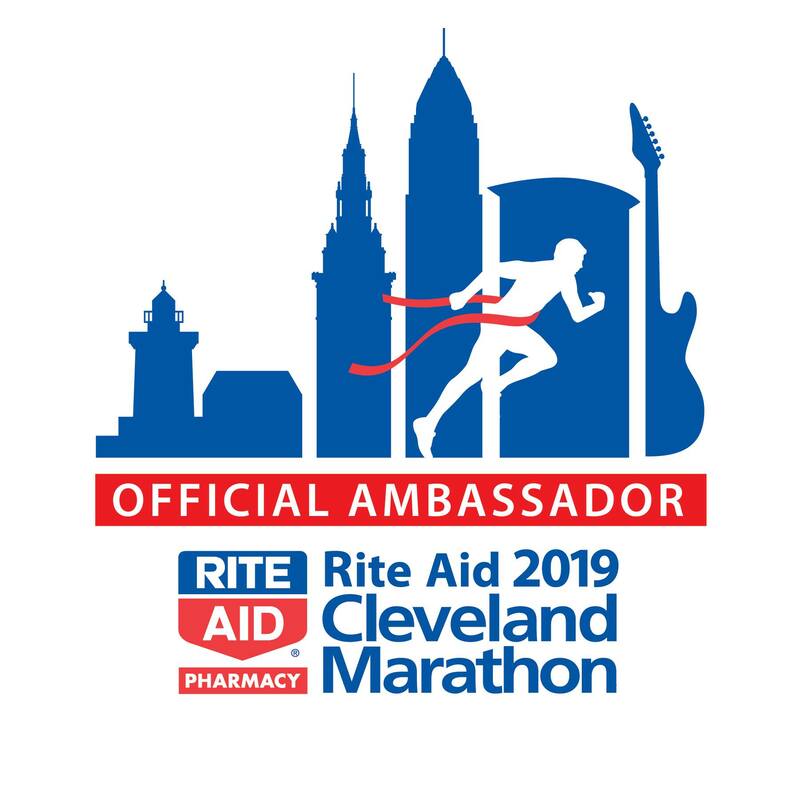 Disclosure: I’m a Cleveland Marathon race ambassador. 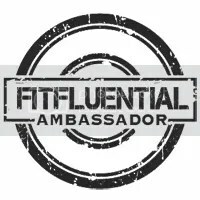 I get complimentary admission to run the races in exchange for sharing my experience. As always, views are my own. For some reason, this year Mother’s Day weekend, felt a little different than past years. I felt much more like a mom this year than I ever have before. Yes, it’s technically my second (or third, depending on who counts) Mother’s Day, but for some reason, I feel much more deserving of the title this year. Maybe because I have a toddler who runs around and calls me mom? Maybe because I’m (as B calls it) 1,000 months pregnant? Anyway, being a mom is HARD, but some weekends are just great. And this was one of those weekends. It was definitely a weekend where I loved being a mom! The weekend started actually with Muffins with Mom at school. I got to stop by FW’s classroom on Friday morning before work for breakfast! And it was a pretty gorgeous day, so after work that night B, FW and I went for a short walk around the neighborhood. FW loves running! Saturday started with some flowers to celebrate Mother’s Day 🙂 Call me basic, but I will ALWAYS love a nice bouquet. After the race, we walked back to the house and did some baking! FW helped mix things up. And then, FW decided he was tired and wanted to nap. On me! It’s been a while, and it was actually kind of a nice way to spend an hour. Later that afternoon, we went to the West Side Market to pick up some groceries. And then B made us pizza for dinner! We haven’t had homemade pizza in FOREVER and it was a nice change. Sunday morning, FW didn’t wake up until around 8 – which was a great Mother’s Day gift! After he woke up, B and FW took a trip to get me a Mother’s Day specialty – a cassata cake doughnut. These are some of the only doughnuts I really enjoy and it’s mainly because of the quantity of frosting and cream. After breakfast (doughnut and some fruit/yogurt per my request), we took a long walk. More than four miles while FW slept in the stroller. We saw some geese and baby geese on the walk – it was a cute thing to see especially on Mother’s Day! And then, FW got to spend some time at the nearby playground. For dinner, we joined B’s family per our Sunday night tradition. B ended up making the whole family dinner and it was delicious – we had two different types of fish, grilled eggplant and an arugula salad. Baking, a race, a long walk and cassata cake doughnut – for me, that is the perfect Mother’s Day weekend! Do you like doughnuts? What kind? What makes something a muffin vs. a cupcake? I’m not gonna lie, it was a pretty uneventful weekend. Yes, it was Halloween, but I was getting over a cold (thanks, air travel! ), and feeling tired and not too in the mood to do anything exciting. Friday night included Souper Market takeout and catching up on Netflix. No photos needed – I mean, don’t you know what soup and old How I Met Your Mother episodes look like? Saturday morning, B had signed us up for a Halloween themed 5 mile race. B dressed up as Ron Burgundy and I dressed up as a dinosaur. I still can’t believe B ran 5 miles in a turtleneck, blazer and grey slacks. That’s commitment! After the race, we decided to do our typical Saturday routine. We hadn’t been in town in a while, so it was great to go to the Market and grab some tea. Warm ginger tea and honey with a cold = amazing. Saturday afternoon, I did some baking and B did some cooking. We had plans to go to Dave and Anson’s house for trick-or-treaters and scary movie night. B made amazing deep dish pizzas to bring – they were so good I forgot to take a photo until we had eaten half of them. For our annual scary movie night, we opted to watch Saw. It’s a movie I’ve seen a few times, but Dave and Anson hadn’t seen it and since it was going off Netflix Nov. 1, we decided to watch it. Sunday morning, thanks to Daylight Saving, we got up pretty early and decided to get some brunch at Phuel. I’m a big fan of their yogurt and granola parfait. After brunch, since it was 60s and gorgeous, we decided to get in a long walk in the Metroparks. The fall colors were looking beautiful and I enjoyed a free Starbucks beverage on the walk. It was pretty much a the perfect fall scene – and the RED CUPS are out already! I’m not ready for red cup season yet. After the walk, B and I watched the Browns game and may have taken a nap. That’s two naps for me in one weekend – a new record! I’m taking advantage of getting sleep when I can, especially with this cold. Family dinner on Sunday night ended with a great dessert – B’s mom made carrot cake and it was AMAZING. I’m not a huge cake person (I prefer cookies and ice cream) – but carrot cake. Oh my. And this one was delicious! And that was it! See, a pretty uneventful weekend. Do you have a favorite scary movie? Tomorrow is National Running Day. So in honor of the [almost] holiday, here are 10 running confessions. After writing these, I now realize how slightly crazy I am. Runners are indeed crazy. How many of these confessions can you relate to? 1. Stay away from me on days I don’t run. Day when I don’t run are really really really difficult. After getting injured, I know it’s important to take days off – but in my world, days off are on the elliptical or a long walk. You do not (I repeat- do not) want to be around me on days when I have no activity at all. 2. I’ve gotten used to porta potties, thanks to races. I realized this a few weeks ago when I was hiking with my family and the only bathrooms in the camping area were outhouse-like and I thought to myself, wow this is better than a porta potty. 3. I will wake up at an ungodly hour to run or get in some sort of workout. Especially if I’m traveling. When we went to Asia we had to be at the airport by 6 a.m. Meaning I woke up at 3:55 just to get in a quick workout before our super long plane ride. 4. [Warning, slightly gross] It has taken me years but I can finally run and spit – yes, I’m successfully not spitting on myself! But sadly, I have not yet mastered the running/snot rocket thing yet. 5. Whenever I see someone running and I’m not (I’m at work, in a car, etc. ), I immediately feel jealous and guilty like I should be running even if I already worked out that day. 6. All NIKE, Gatorade, UnderArmour, [insert other brand here] running commercials give me chills. And then I must immediately go find them on YouTube and rewatch them over and over again. 7. Since getting injured training for my first marathon, I have no desire to do that again. I may be scared – or just stubborn – but I may never do a full. 8. I wish I had more running friends because I just want to travel to all the races and spend weekends seeing new cities and doing new half marathons. Who’s in? 9. I wish running were totally normal to do all the time. Like, as I’m walking places I often think that it would be so cool if we all just ran everywhere and nobody looked at us funny. How more efficient would it be if I could just run to all my meetings or run to dinner with friends? Or what about running meetings – instead of sitting all day, I’d love to have a running meeting or two. 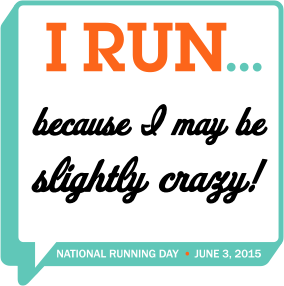 Runners – how are you celebrating National Running Day tomorrow? Can you relate to any of these confessions? What running confession would you add?